We are often caught up in the American music scene so much that we are sometimes unaware of what is happening musically in the rest of the world. Like any business, the music business is increasingly global and any kind of music you want to hear, it is usually available at your fingertips. If you haven’t noticed, we seem to be in a midst of an Oz invasion of sorts these past few years as many bands from Australia are popping up in our music scene. One of them, Tamarama, has spent quite a bit of time at our studio recently. In the past, Avatar has hosted all kinds of foreign acts from a Taiwanese pop idol to a Middle Eastern superstar and just recently a French artist singing in the traditional Berber style. Just coming into contact with these artists open your eyes to an entirely different and rich world of music you did not know about. In February, we hosted sessions by two artists, Joseph Tawadros and Gurrumul Yunupingu, both from Australia but from very different cultural backgrounds. Joseph Tawadros was born in Cairo, Egypt and immigrated to Australia at an early age. He was heavily influenced by his family with a rich musical tradition. 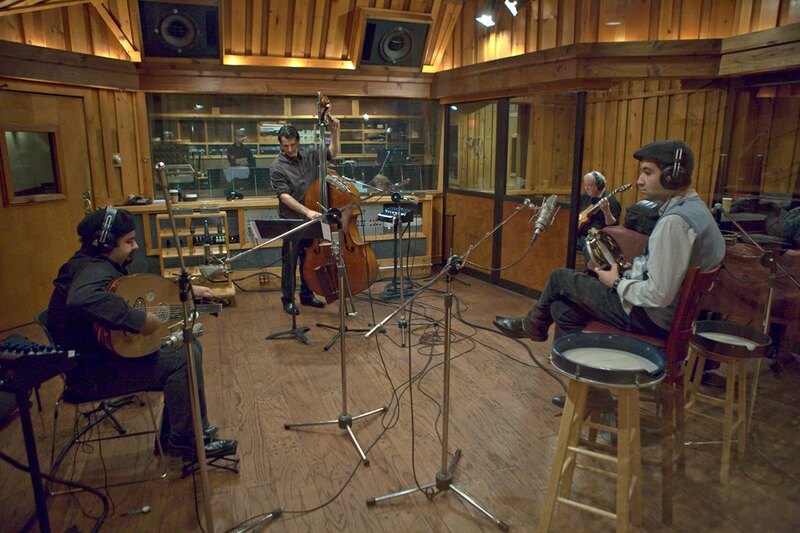 Joseph Tawadros studied with Mohamed Youssef, a renowned oud player, jazz pianist and family friend. 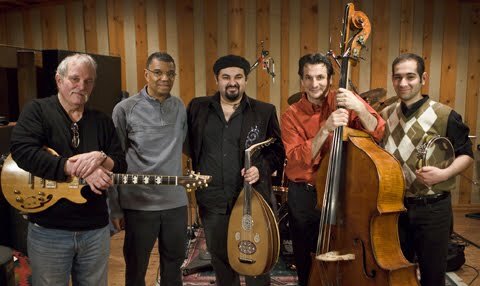 Youssef encouraged Joseph to explore the musical parameters of the oud and the traditional Egyptian taqasim, a performing style akin to improvisation. In December 2001 Tawadros returned to Egypt and began studying the Egyptian violin with the celebrated Egyptian violinist, Esawi Daghir. Since then, Joseph has toured all over Australia and Europe to accolades. Joined by his brother James, Joseph Tawadros spent a couple days in Studio B with John Abercrombie, Jack DeJohnette and John Patitucci. We asked Joseph a few questions. Q: Can you tell us a little about the project you worked on here at Avatar? From the line up, it looks like you worked with a lot of great musicians. Did you record your original compositions? A: Well, it is actually my seventh CD of my original works. I like original collaborations where musicians work together to bring something special without using musical cliches or "corniness" to create a dysfunctional fusion. And this usually has to do with choice of musicians. The musicians on board I would consider part of international jazz royalty and are all unique in their field. They also have amazing ability and drive to learn, listen and adapt to the compositions without losing their character and that is why I chose them, because they have that amazing talent to blend. It is about creating a new language or building on an old one, finding a medium which everyone understands (including listeners). That is where I think the key to great collaborations lie. I would not call the music jazz but more of a cross-cultural musical understanding. Hopefully, we created a new and unique sound, which people enjoy. Q: Can you briefly explain to us what is unique about the oud and how it blends with other jazz instruments? A: Well, the oud is a very special instrument. It has been around for quite a while and is a real symbol of the Middle East. The oud that I play is 7 courses, arranged in 2 single bass strings and 5 double strings. How it blends with other instruments again comes down to the musicians and their abilities. Timbral blend has much to do with it as personalities blend and when you work with great guys where you all get along, you create great things and blend very well, creating one voice. They all have great ears, but in the range of the ensemble it is quite big. The double bass has got the low registers covered, while the oud fills the next (more like a cello register) and the electric guitar has the upper, add riq (Egyptian Tambourine) and drums and you have a whole range of sonic possibilities. So I think it is a combination of timbral blend of the instruments and personality blends of the musicians. 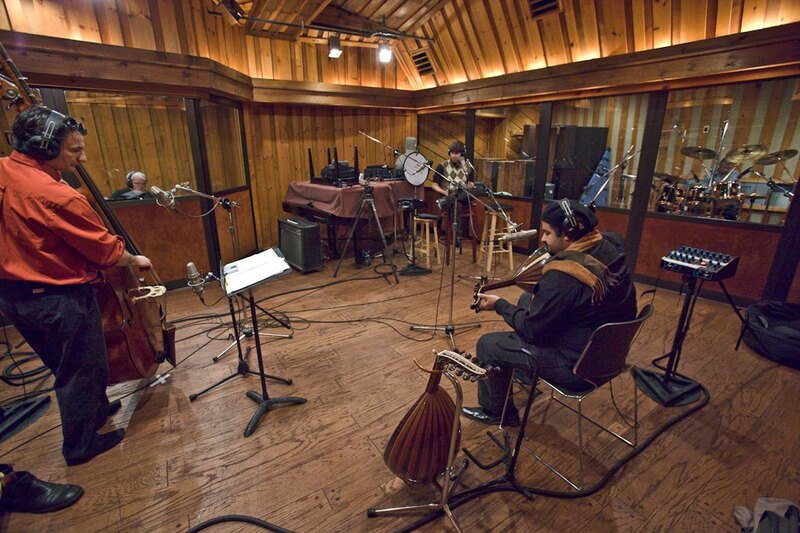 Q: What are some of the things you need to be concerned about when recording the oud? A: You have to pick up the roundness of its sound without losing its harmonic sustain. Due to the make of the instrument, certain notes ring out more than others, so there has to be balance of capturing those as well as not letting the plectrum sound get in the way. Jon Rosenberg who recorded the sessions did an amazing job. Q: Same question in regards to recording the riq. A: The riq has an amazing array of possibilities for such a small instrument, so just like a drum kit, you have to pick up the nuances and certain parts of the frame. It is quite a flexible instrument and James is one of its finest ambassadors, so picking up his percussive subtleties are important especially in terms of dynamics. Q: How was your recording experience? A: Really great. Great bunch of people, awesome players and a lot of laughs. Q: When is this release coming out? A: The release is called The Hour of Separation and will be out in June in Australia and September worldwide under the German Jazz label ENJA. Geoffrey Gurrumul Yunupingu is an Indigenous Australian musician, who sings in his native Yolngu language. 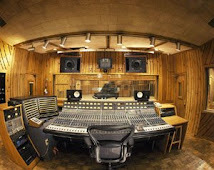 He spent some time in Studio G with his producer and musical partner Michael Hohnen. Being used to warmer climate, Gurrumul had a hard time getting used to the snowfall we got in early February. He was born on an island off the coast of Northern Australia about 350 miles from Darwin. He was born blind and speaks only a few words of English. He learned how to play a right hand-strung guitar left-handed because that is what was available. He also plays drums and keyboards. What is most striking about his performance is his singing voice. He sings stories of his land and there are many videos of his performance online. In 2008, Gurrumul was nominated for four ARIA awards, the Australian equivalent to our Grammys, winning the awards for Best World Music Album and Best Independent Release. Last November, Gurrumul performed with Sting in Paris to sing "Every Breath You Take" for French television. This summer, Gurrumul will be making concert appearances in the U.S. starting at Joe’s Pub in New York on June 15. Gurrumul will perform material from his self-titled debut, which is set for release on Dramatico in the US through Universal Motown on June 15. There is a vast, world of music videos to explore out there. You just need to know the right search term.